David is the host, creator, editor and writer of Grain of Truth. 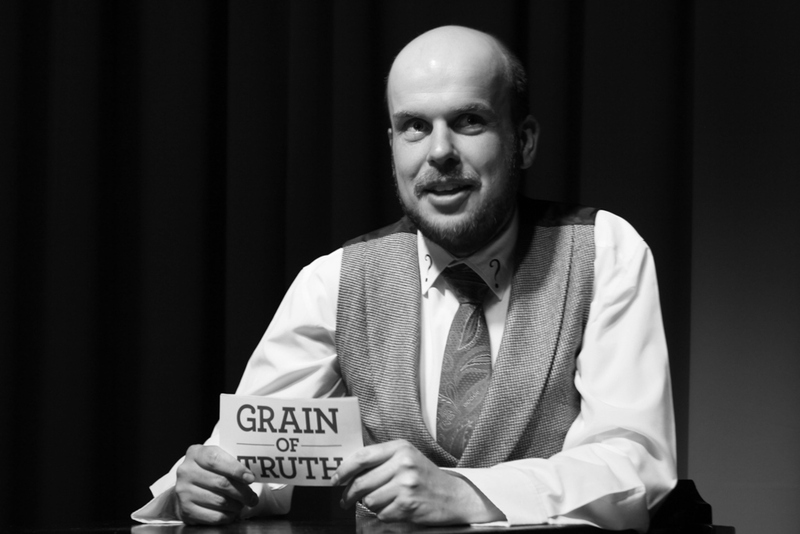 Prior to the show, he was the Artistic Director and Founder of The Impro Box and developed several successful improvised shows including Time Lord, Dahl and Wodehouse. He was an MC for the Doctor Who Festival ​in Sydney in 2015. David enjoys silly comedy and meta-references that are clever and reward knowledge. His influences include Monty Python, Big Train, Qi, Whose Line is it Anyway?, Doctor Who and The Micallef Program. David completed a double degree at Monash University in Clayton, achieving a major in Chemistry and a minor in Mathematics. He currently teaches Maths Methods and Chemistry to high school students.